Bob brings at least 40 years’ experience across all areas of Personal and Corporate Wellness. His involvement includes Research, Consulting and teaching. A Ministerial appointment to the Queensland State Steering Committee on Health Promotion in the Workplace preceded his appointment as the inaugural Director of the QUT Wellness Matters Program. 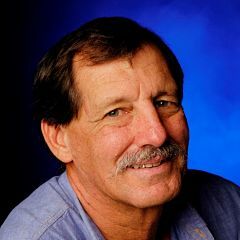 Founding President of the National Wellness Institute of Australia he has also chaired a number of State and National professional association. He currently sits on the National Wellness Institute (USA) Board of Directors. 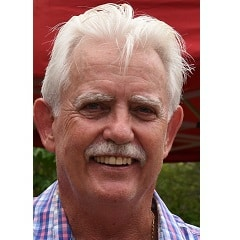 He is an accredited Workplace Wellness Director, Certified Wellness Practitioner, Certified Workplace Program manager, Wellness Culture Coach and Wellness Coach Trainer who has delivered conference presentations, workshops, and training programs and consulted to businesses, associations, governments, and community groups internationally and nationally. Tracy has a trans-disciplinary background in Health and the Built Environment with a focus on planning, measurement and assessment of health outcomes within communities, schools and workplaces. Her research includes developing and evaluating policy and interventions that will enhance the ways in which environments support active and healthy living, focus on reducing the risk of chronic disease and improving life. 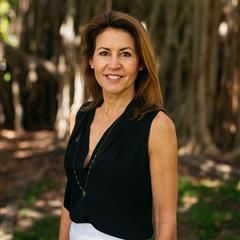 Tracy holds membership with the Institute of Biomedical Innovation (HBI) Healthy Lifestyles Program, and is a leader of the Infrastructure for Sustainable Communities research theme within the Institute for Future Environments (IFE). 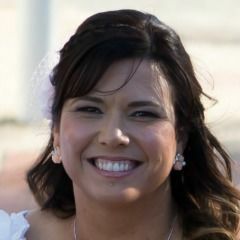 Tracy is also a lecturer in Property and Planning in the School of Civil Engineering and Built Environment at the Queensland University of Technology (QUT). 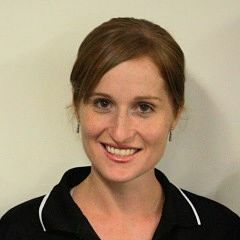 Camilla is an accredited exercise physiologist, registered nutritionist and remedial massage therapist, with 14 years experience in clinical and corporate health. Camilla is currently completing her PhD in the field of genetic profiling (genes that can affect train-ability). These learnings will hopefully contribute to the field of personalised health medicine. Tom is currently on the Board of the National Wellness Institute of Australia (Events Facilitator) and the Secretary of the National Wellness Institute (USA). His PhD was completed at Arizona State University in Wellness Curriculum and Instruction. Tom has an extensive list of publications about pedometers and their application to youth health and wellness. He has published over 60 peer reviewed research and professional articles about psycho-social aspects of wellness and physical activity. These papers have been cited in peer reviewed Journals over 1100 times since 2003. He has had 14 Doctoral and Master’s Degree student’s graduate with earned Wellness or PE degrees. He is a Certified Workplace Wellness Specialist. He has delivered workshops, and training programs and consulted to businesses, associations, governments, and community groups internationally and nationally. Graduating with a Bachelor in Applied Science (Human Movement Studies) in 2001 from the Queensland University of Technology (QUT), Shell initiated her health, wellness & fitness career in personal training and group fitness instruction at a local gym before becoming an Accredited Exercise Physiologist and subcontracted for the delivery of return to work and work strengthening musculoskeletal rehabilitation for WorkCover Qld. From there Shell ventured into onsite corporate health promotion, lifestyle education & coaching, before accepting a role at the University of Queensland that saw her become the assistant manager for the UQ Sport & Fitness centre, focusing on program management and venue management. Most recently, Shell was the Wellness Coordinator for the Greenslopes Private Hospital Staff Wellness Program for the past 5 years, and is now enjoying the lifestyle of a stay at home mum to a vibrant and energetic 1yr old. Shell has more recently developed a passionate interest in nutritional medicine and holistic vitality where she is looking to pursue further study in. Ina Koka started with The College of Health and Fitness in 2013 and has been a tireless ambassador ever since. With over 22 years years experience in the Fitness Industry, starting with QFAC, Ina also worked as a Registration and Training Officer Fitness Queensland. Ina was awarded the 2008 Queensland Fitness Industry Awards of Excellence – Outstanding Industry Contribution and the 2005 Inaugural Fitness Australia Presidential Award. With a Certificate III & Certificate IV in Business she is confident when delivering speeches about the Fitness Industry to various High Schools. Kailani Marlow is a PhD candidate in the faculty of Science and Engineering at the Queensland University of Technology (QUT) in Brisbane Australia. Her research interest is the significance of nature experiences and how such experiences might contribute to the wellness of individuals and communities. Kailani has worked with children and adults as well as special populations including seniors, infants, athletes, children diagnosed with autism, sedentary populations, diabetics, residents of high-density urban areas, women, and at-risk youth. She also works as a sessional academic at QUT. 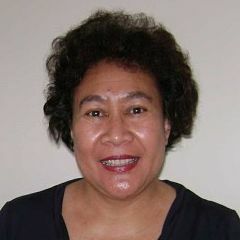 In this role she has facilitating tutorials and currently holds a tutor appointment with the Oodgeroo Unit which provides a host of academic support services for Aboriginal and/or Torres Strait Islander students. Prior to commencing her studies at QUT she obtained a MS in Exercise Science and a BA in Psychology from California State University. She combines these two disciplines in her current research investigating people’s connection to nature in different environments. The findings from her research will yield insights into how connection to nature can enhance wellness experiences across diverse populations.